ITVS’s Kate Sullivan Green sits down with Theresa Loong to talk about the documentary Every Day Is a Holiday, which begins airing on Public Television May 1. 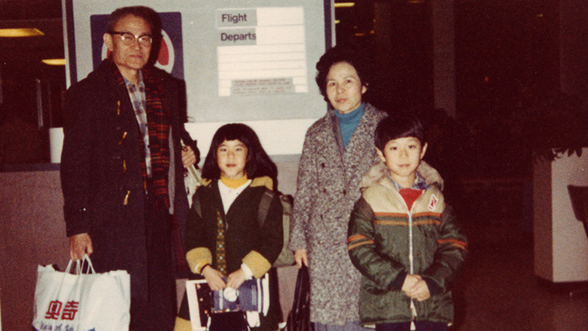 After finding her father’s secret diary from the time he was a P.O.W., Theresa Loong knew she had a story to tell. In Every Day Is a Holiday, she documents her father’s path from being a Chinese Malaysian teenager serving in the British Royal Air Force, to being held as a P.O.W. 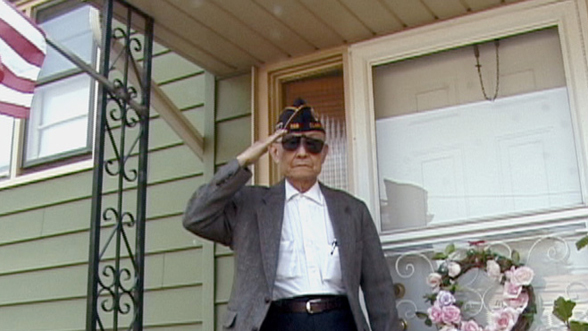 in Japan during World War II, and his long, complicated path to U.S. citizenship that followed. Kate Sullivan Green had the opportunity to sit down with Theresa and talk about making her first film, the ups and downs of documenting a family member, and what she learned about the challenges so many Chinese faced immigrating to America. What stood out to you about your dad while making Every Day Is a Holiday? His fierce, fierce, fierce determination. I always had a sense he had a really interesting life, but one of the things I’ve taken away is how much struggle he went through to become a citizen. That gives me more appreciation for him and for people in general who go through hardship. I consider myself an empathetic person, but this really puts things in perspective when I am feeling down. I have a deep respect for what he went through. One other thing is that I didn’t realize how difficult it would be for him to relive the past. I guess I thought he was ready to share his story, but there were times when he would say, “Oh, that’s enough” or get up and walk away. Sometimes it was just because he was tired, but other times I’d see his eyes go to a far away place as he was actually reliving the moment. Especially with first person narrative, we have to balance wanting to know history with sensitivity. Does he like the film? I was afraid to show him for a long time. When he finally saw a fine cut of it, he laughed about certain things - nodding and laughing. After one screening he said, “It’s the truth.” I couldn’t quite figure it out, it seems like veiled praise, but yeah, I think he likes it. Your dad’s story is inspiring on so many levels as we see his perseverance, charisma, optimism, and ultimate success. More broadly, this is also a story about the immigration system in the United States in the 1940s and 1950s. What’s one particularly interesting thing you learned about while making this film? I didn’t know much about the Chinese Exclusion Act and the fact is, that after that, from 1943-1965, only 105 Chinese people were allowed to become U.S. citizens, no matter where you lived. That was a great deterrent to getting to the United States. The Chinese Exclusion act of 1882 halted Chinese immigration and prohibited Chinese from becoming U.S. citizens. This law was replaced with others barring Chinese immigration, until the Magnuson Act in 1943, which permitted a national quota of only 105 Chinese immigrants per year. That was finally replaced by the Immigration Act of 1965. The other takeaway was that during World War II, the Japanese did not sign the Geneva Convention, so even though my dad had some Red Cross packages at the camp, there were a bunch of packages they were not able to distribute. They did have a Red Cross person visit once, but it was only meant to seem very nice. I show those propaganda photos in the film. What do you hope viewers takeaway after watching? One is to gain a greater appreciation from people who may look a certain way in everyday life. My dad could be seen as some older fellow, a non-descript Asian guy, but if one is to perhaps take the time to listen and ask, who knows what kind of stories they have. It can be an enlightening thing to do. I also hope people see that Chinese-American or Asian-American identity can be complex. My dad is ethnically Chinese but comes from Malaysia and my mom comes from Taiwan. In the mass media, we tend to have very stereotypical viewpoints of ethnicities and religion. The other is for viewers to walk away with a bit more knowledge about the struggle of Asian-Americans and a greater understanding of the history in the far east. It’s a politically charged issue but it’s this idea that, for instance, in Japanese textbooks they downplay the significance of what happened in World War II. One goal with this film was to open that dialog and explain that these things actually did happen. I hope people see that this is an American story too. Do you have any advice for others who are making a film with a parent as the main subject? One is perseverance and two is sensitivity. The perseverance is that you want to tell the story, and know you should. But you have to be sensitive to whatever they are going through, and whether they feel like talking or not. Remember, first and foremost, that it is a family member and be loyal to that. It’s perseverance combined with sensitivity. Maybe three is to learn when to ask for help. Since things can be extra personal with a family member, if you are going to be protective then you have to find the crew that you trust, or develop the skills to do it yourself. It was great to have another camera person but it also does change the dynamic, sometimes for the better, but occasionally I would see my dad being more guarded in a moment than if it were only me. As a new filmmaker, what are some important lessons you learned while making Every Day Is a Holiday? I didn’t have much of a budget, but I didn’t let not having a skill or saying I cannot afford something stop me. Money is a factor, but you have to figure out a way. For instance, I couldn’t really shoot that well, so I learned. I didn’t have much money for archival footage and research, so I went to the national archives myself. It was a great chance to learn about how the archives work. Once I even went with my family and found a board from one of the camps showing what the prisoners were assigned to do. So I was able to make that part happen. Another is to prepare and plan as much as possible, even though things crop up unexpectedly. I don’t always follow this rule, but the more you do the easier it is. And always follow your curiosity. Every Day Is a Holiday begins airing on Public Television on May 1. Check local listings.